WOPET Automatic Dog and Cat Feeder Giveaway! Caturday Art on Teddy Bear Day! Have You Spoiled Your Dog Today? A Book Trailer Release on National Book Lovers Day! Sunday Selfies with My First Book! Take a Look at My Hot Dog! Today is National Sunglasses Day! Sunday Selfies with a New Summer Hat! Sunday Selfies on Father’s Day! Caturday Art on Earth Day! Sadie Loves Rachael Ray Nutrish Treats! At the George Washington Bridge on George Washington’s Birthday! 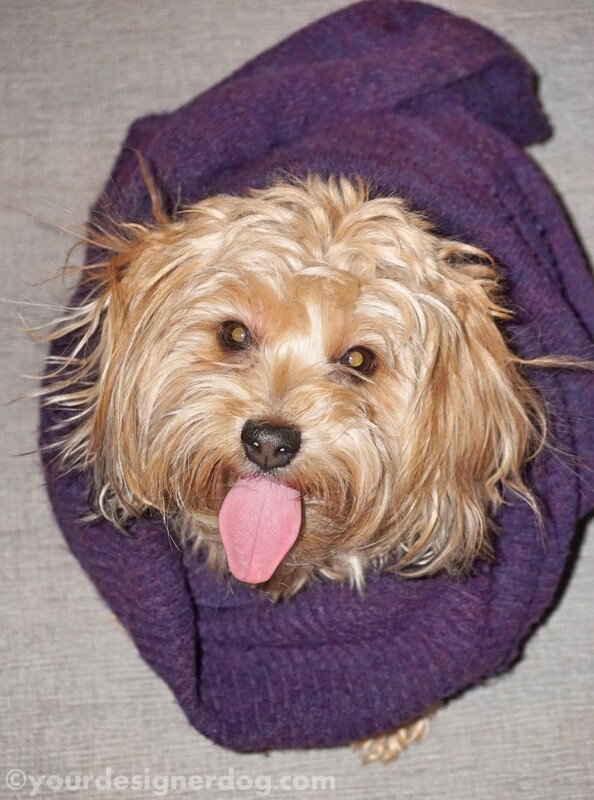 The YourDesignerDog Blog Turns Three! Caturday Art on Dress Up Your Pet Day! 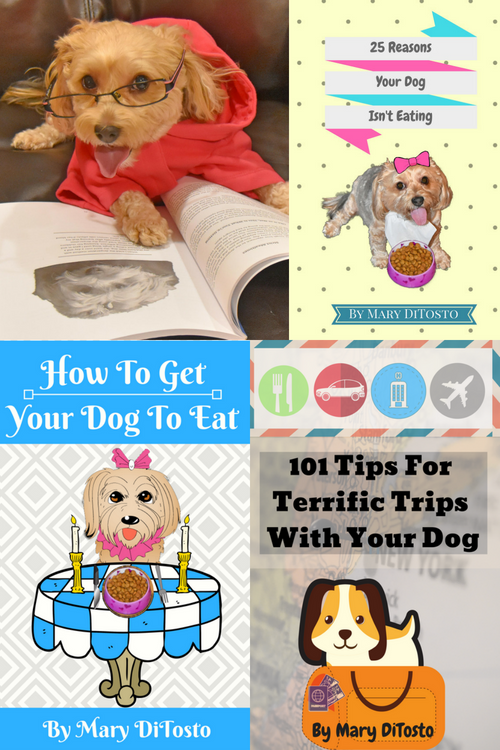 Using Dry Dog Food for Healthy Holiday Fun! Black and White and Ready for Halloween! Caturday Art on National Cat Day! 50 Years of the Great Pumpkin! Save Money This Halloween – Re-Purpose an Old Costume! 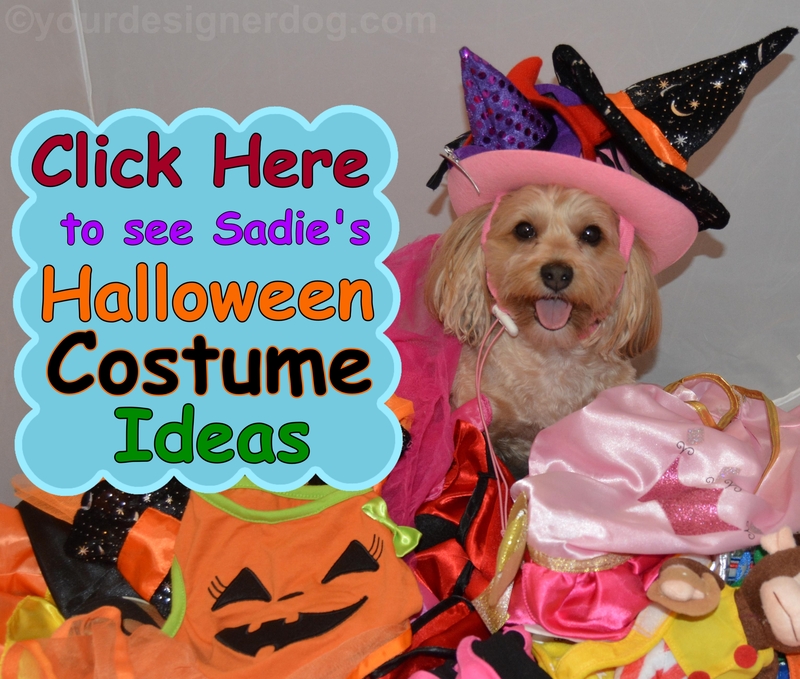 Super Easy DIY Halloween Costume For Your Dog! Tongue Out Tuesday with a Tootsie Roll! Sadie is Ready for Mad Hatter Day! Be a Tourist in Your Own Town! Ahoy Mateys! It’s Talk Like A Pirate Day! Spoil Your Dog Day – Pupcakes for Everyone! The “July Edition” LootPets Giveaway! Etta Says – Chomp Some Elk! Which Flowers Are Safe For Your Pets? Happy Star Wars Day 2016! A DIY Easter Basket Your Dog Will Love! Happy St. Patrick’s Day 2016! Tongue Out Tuesday on the Ides of March! Time to Check Your Clocks! Sweet! It’s National Cupcake Day! What Did the Groundhog Say Yesterday? It’s Time for the 2016 Pet Blogger Challenge! Keep An Eye On Your Pets with the Petzi Treat Cam! It’s Almost Star Wars Time! I’m Ready for My Close-up! Is it a Dog House? Is it a Pool? It’s Both! Does Your Dog Have a Driver’s License Yet? Let Your Flag Fly – Today Is Flag Day! Please Mom, I Desperately Need a New Toy! Sadie Is Having a Stay-cation! Happy St. Patrick’s Day 2015! Hot Dog Collars – a Review and a Contest! Chew With Your Mouth Closed! Happy Puppy Bowl (and Super Bowl) Sunday! I Wasn’t Done With Those Sheets Yet! Is That a Dinosaur Bone? Look Mom, I Can Make Confetti! MY Present – No Touching! Where Did I Put That Note? I Love My Dog Shampoo! The Cash for Christmas Giveaway! Cuddle Up With a Buddy Blanket Comforter! 5 Tips to Keep Your Pets Safe on Halloween! Get Creative with Jolly Awesome Pet Tags! Do Your Pets Have Allergies? Find Out with ImmuneIQ! I Bet You Can’t Do This! 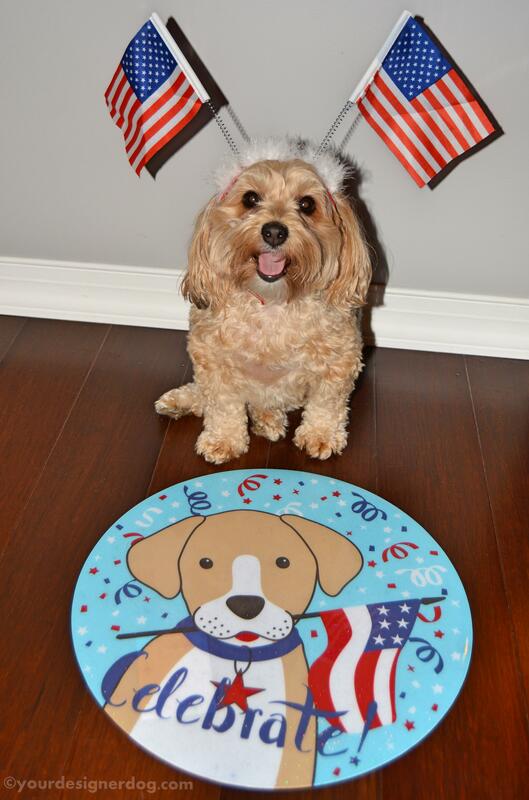 Happy 4th of July from my Patriotic Pup! Be Careful With Your Medication! Sadie appears to have turned one of my sweaters into a little nest. Doesn’t she look proud of herself? 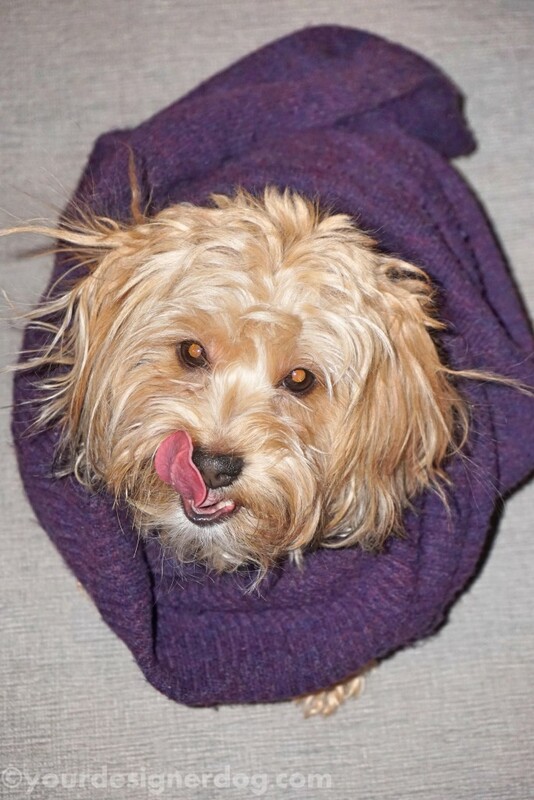 I can’t say I blame her – it’s a super cozy sweater and it was super cold outside today. This post is part of the BlogPaws Wordless Wednesday blog hop. What a gorgeous colour on beautiful Sadie. Judging by her smile she thinks so too. Sweaters make the best beds. Both our dog and cat love to curl up on our sweaters. Looking warm and fashionable! Just like a designer dog! Her little pink tongue is the cutest! Oh Sadie – we Beaglebratz think u iz 1 great fashunista. You know that color lookz really good on u – that iz y u choze it!! Check out our Books on Amazon! Get Sadie delivered to your inbox! 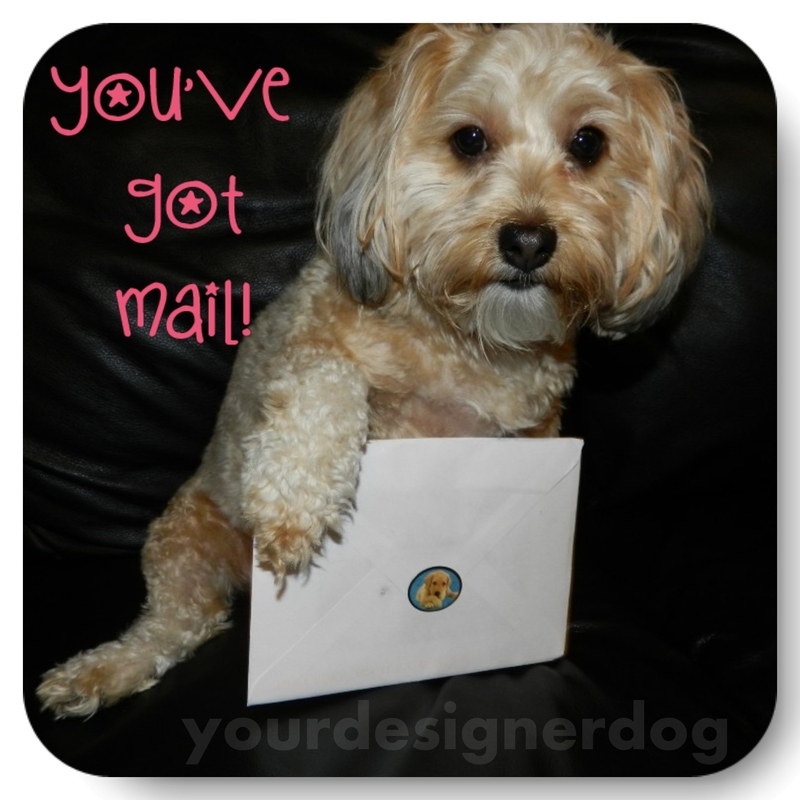 Enter your email address to subscribe to the YourDesignerDog Blog and receive notifications of new posts by email. 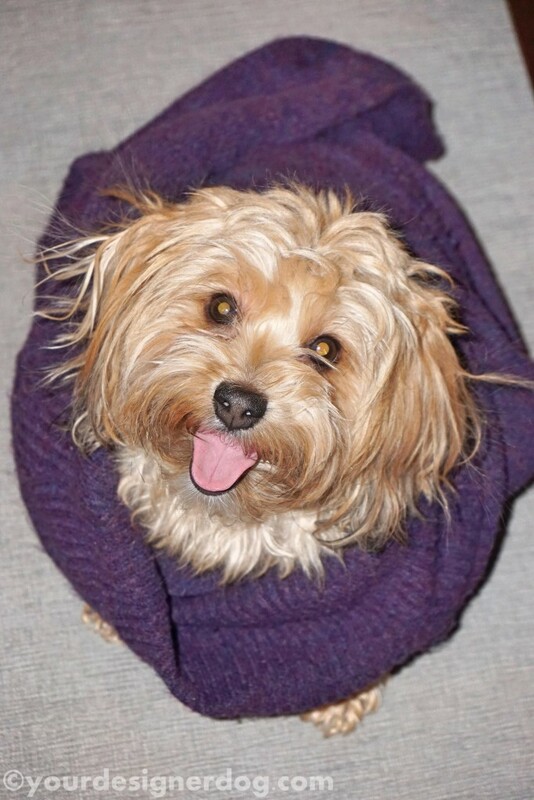 Welcome to the YourDesignerDog Blog! 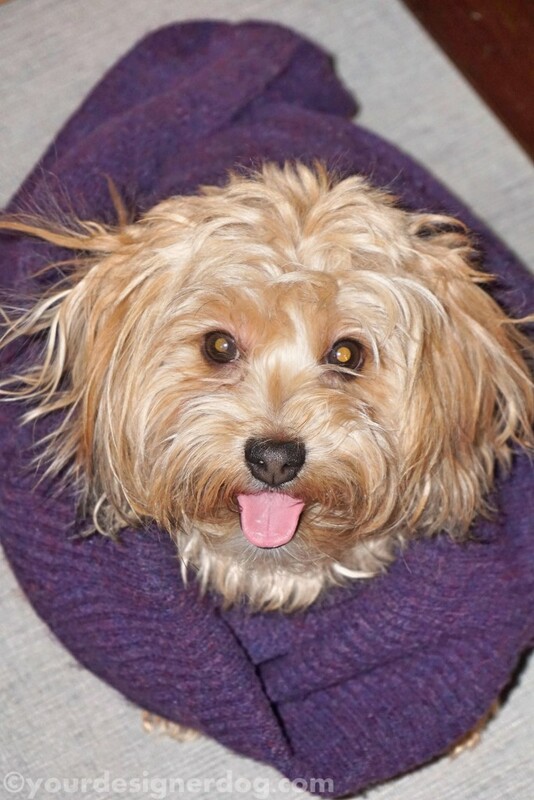 Visit YourDesignerDog's profile on Pinterest.